Many people believe that great leaders are made, not born, and there is no better time to start honing leadership skills than in childhood. It is never too early – or too late – to start developing leadership qualities and with the right encouragement and support, children can realise their natural potential and enhance the leadership skills which will help them succeed throughout life. Involving children in leadership activities can have several benefits. Enable them to become more self-aware and look at the positive and negative aspects of their own behaviour. Help them see areas where they may be lacking and encourage them to improve themselves. Develop their organisational skills and even the ability to manage others. Help in overall personality development and promote ‘can-do’ attitudes. 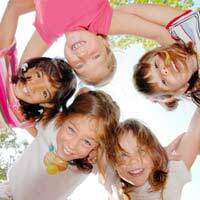 So what sort of activities help children develop leadership skills and qualities? In fact, many of the extra-curricular activities children are often involved provide opportunities to develop leadership – for example, activities popular at holiday camps such as swimming, cooperative and team building games, magic workshops, juggling workshops, presentations, author talks, music storytelling, role plays, drama, and others. Many sports and outdoor activities help to build self-esteem, self-respect and self-reliance – such as paint ball, climbing courses, camping and fishing. And community service activities are a wonderful way to promote leadership qualities and give children the opportunity to share their leadership skills with the rest of the community, as well as enabling them to build confidence and teaching them the rewards of giving to others. This can be involvement in hospital programmes, volunteer work for animal welfare, assistance in charity shops, fundraising events for specific causes or general help for the elderly, infirm or disabled. Any activity which promotes team building is great for developing leadership. These guided activities help children to develop team work and unity – and also enhance group dynamics. Although competitive, the activities require the children to learn trust, coordination, planning and problem-solving together – basically, they have to work together to achieve a common goal and in doing so, learn to trust each other, trust themselves and also improve their concentration and team work. Of course, sports teams are one popular way for children to take part in team-building activities and leadership. Whether they are elected captain or are simply a member of the team, it provides a great way to practice working together towards a common goal, in an often pressurised and competitive atmosphere. Different children will enjoy and excel in different activities depending on their individual interests, abilities and personalities. It is not so important what specific activities a child takes part in but rather finding leadership and team-building activities that he or she enjoy and will benefit from. Not only will these activities teach them effective leadership skills but also reinforce good behaviour and provide role models for facing future challenges in life and overcoming them.